A few weeks after giving birth, our friend Ruth stopped by to visit bearing the obligatory price of admission to see the newborn–food. However, this wasn’t just any food. 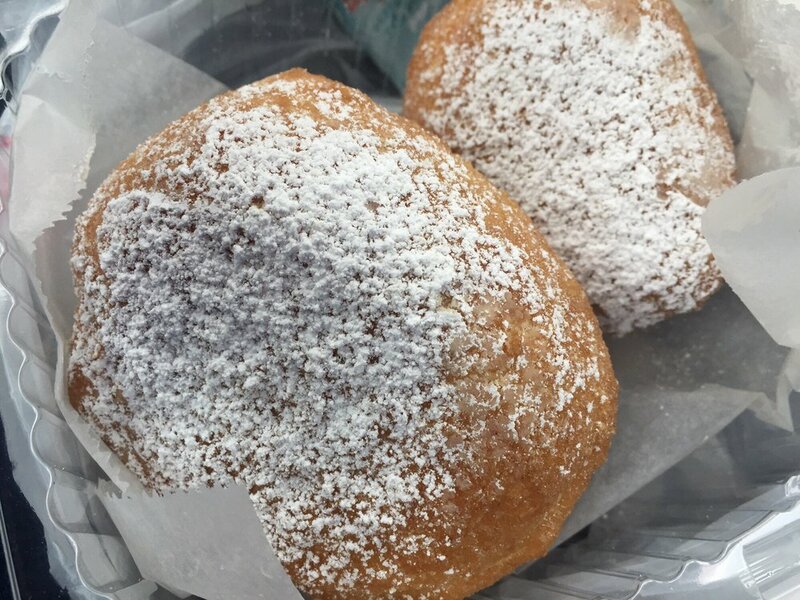 It was donut mouth crack with a generous dusting of powdered sugar called ponchik from Papillon International Bakery in Glendale. 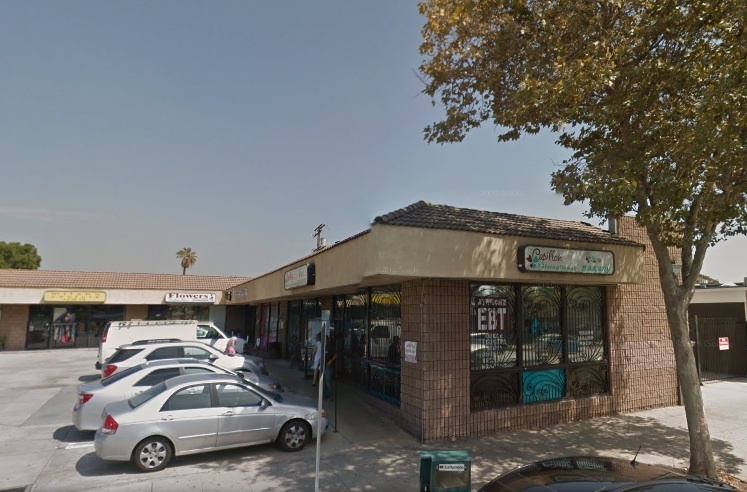 Located in an unfortunate looking strip mall, this culinary delight of epic proportions seems entirely out of place between the window bars and EBT signs, until I remember that nearly all otherworldly ethnic food is housed in holes in the wall like this one. 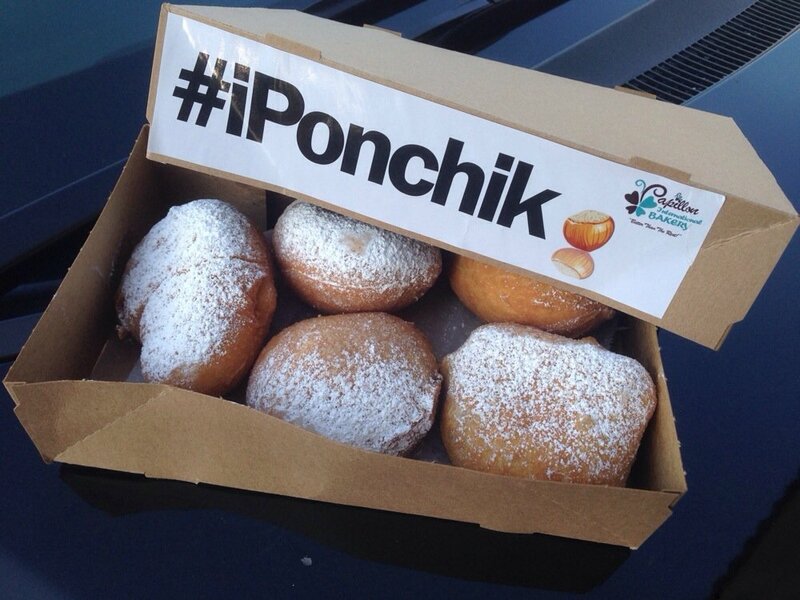 Ponchiks are warm, chewy, doughy fried donut balls filled with everything from Nutella and custard to Snickers and dulce de leche–a Krispy Kreme filled donut if you will, but also NOTHING like it. 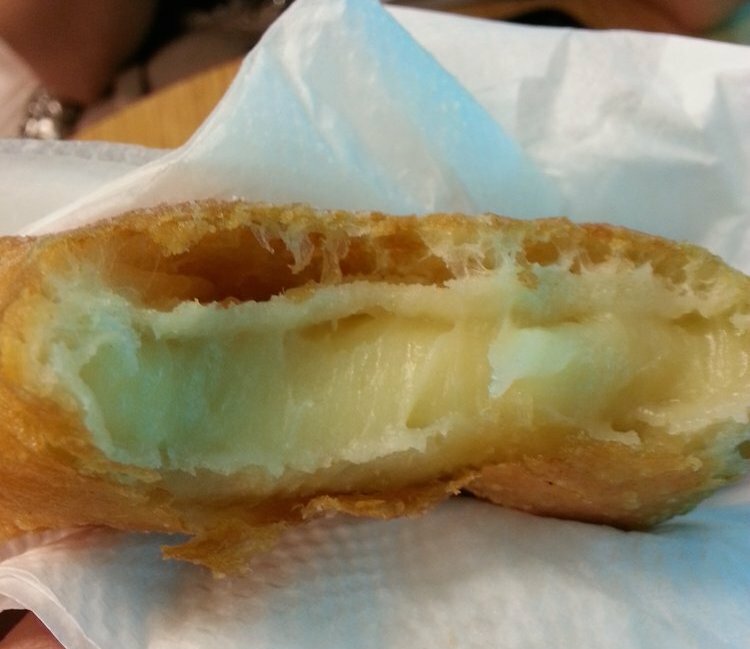 Seriously, I don’t care how warm and fresh KK donuts are, it has nothing on Papillon’s dancing orbs of deep fried golden perfection. I’m not exaggerating when I say mouth crack and I’m not one to jump on the bandwagon (not for Sprinkles, ramen burgers, cronuts, etc.). Every person I’ve every introduced these fritters to have done the following two things upon taking a first bite, in this exact order: 1) eyes widen/bug out and 2) exclaim, “oh wow, what is this! ?” followed by 3, a call or text later that day asking for the name and address because a second round is in order. Our friend brought us a dozen ponchiks and in my exhausted, sleep deprived state I managed to eat 8. I only stopped pounding when I realized all the custard filled ones were gone and only Nutella was left. Lucky for Nutella, I’m not a fan of the spread. 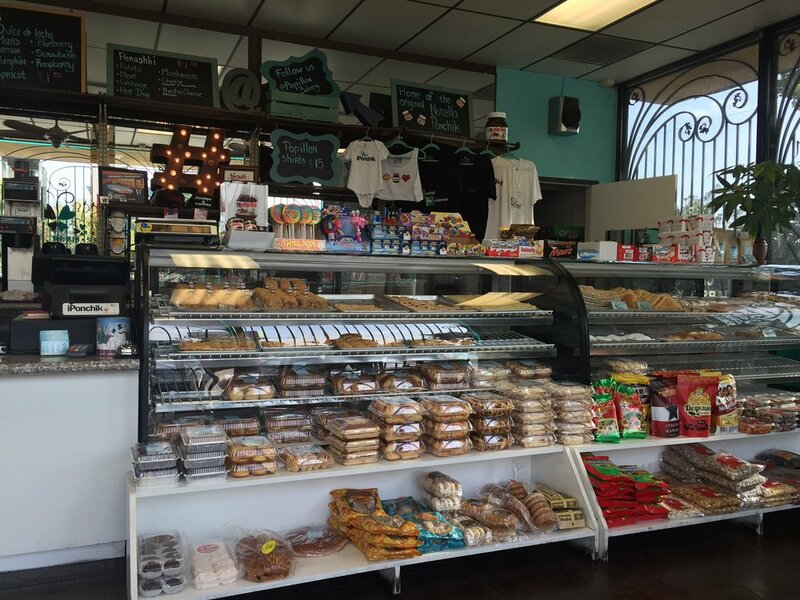 Papillon has 14 flavors at $1.50 a pop. There’s a worthy and legitimate cult following, an on-point marketing department that churns out hilarious ponchik-themed paraphernalia and nearly always a line out the door because every order is made from scratch, so allow at least 15 minutes. Papillon has other stuff too like lahmajoon (Armenia pizza), borek and empanadas, but honestly, it’s all about the ponchik. P.S. Call ahead and avoid waiting and circling for non-existent parking. Happy 2016! Here’s What You Need to Know NowBuying a House 101: What the Hell is Escrow?